I can already tell you that I'm tired of this cold weather. CA has seen a lot of rain, and I'm ready for some warmer weather. 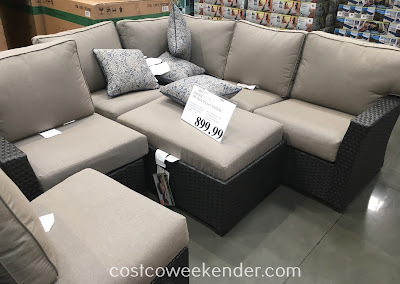 If you're looking forward to being outside while still at home, then check out the Pacific Casual 7pc Woven Seating Group. 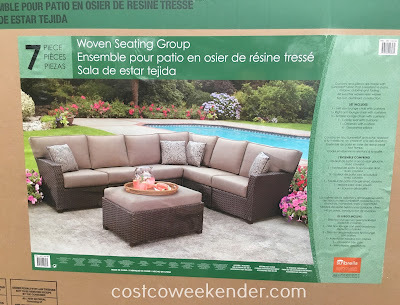 You can lounge outside in your backyard or patio whether you're hosting a backyard party or just having a bbq for you and your family. You can set up the Pacific Casual 7pc Woven Seating Group into many configurations: sectional, loveseat, couch with several chairs, etc. The woven sectional provides plenty of outside seating for you, your family, and guests and is a great addition to any patio. 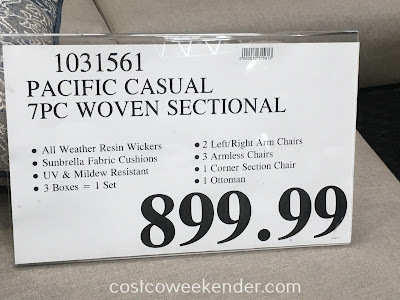 If you're ready for summer, then you better be prepared with the Pacific Casual 7pc Woven Sectional.